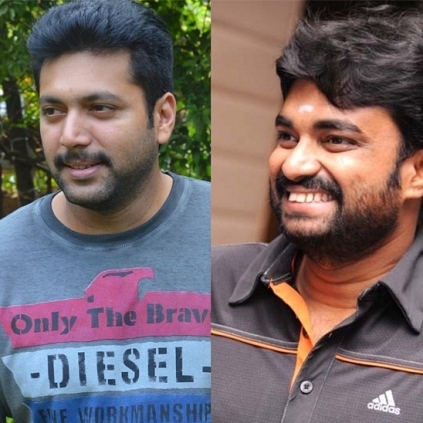 Jayam Ravi’s next project, with director Vijay, is all set to go on floors from the 5th of September. The film has music by Harris Jayaraj, and cinematography is handled by the '24' man, Tirru. The technical crew of the film boasts big names and the director says, “The importance of an auspicious day is initiating something new on that day. I am very much glad and delightful to rejoin with my cameraman Tirru sir after Kireedam. We wanted to capture as much of the magic and beauty, and Tirru sir is a genius in that”. Chennai box office: How much has Sasikumar's Kidaari collected? Even Priyanka Chopra applied for a Jio sim? Director Vijay Chandar, Art-director Lalgudi Ilayaraja And Editor T S Suresh Celebrate Their Birthdays With Team Vaalu. People looking for online information on Director Vijay, Jayam Ravi will find this news story useful.